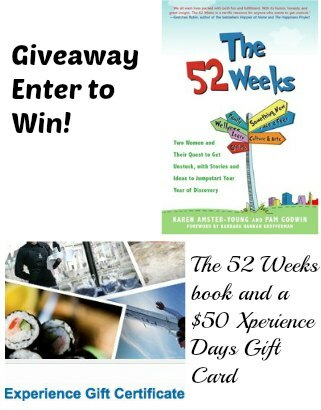 I am pleased to bring you this guest post by Karen Amster-Young, co-author of The 52 Weeks: Two Women and Their Quest to Get Unstuck, with Stories and Ideas to Jumpstart Your Year of Discovery (Skyhorse Publishing, November 2013), as well as a 52 Weeks giveaway. A few years ago, I was out with a good friend having dinner. 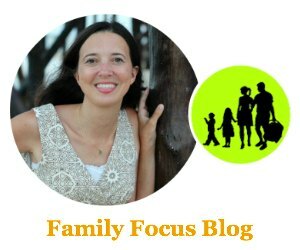 We were two forty-something moms who found ourselves in a “state of stuck.” We had checked off many of our major life goals (careers, husbands, kids, etc. ), but felt we had lost our momentum. We had stopped trying new things, stopping nurturing our relationships and simply felt, well…stuck! We challenged ourselves to try one new thing every week for a year—from test driving sports cars to rock climbing to dance lessons —and to blog about our journeys. We took on The 52 Week Challenge. It was mostly inspiring but wasn’t always easy and at times we had to reevaluate and edit our “52” to-do lists but we did it. Sometimes we took on “big” things and other times we worked on taking baby steps toward achieving larger goals. That’s the key: it’s not always about running a marathon or traveling the world. In fact, just making a small move can make the most significant changes in the right direction and checking it off your life goals list! One area I focused on at the time of our initial 52 Week Challenge was to nurture my 20+ year relationship with my husband including everything from a week-long experiment of trying to simply smile more and be nicer, a romantic outing in Central Park, and even taking dance lessons. The challenge is to continue putting things on your “52” list to ensure you don’t fall back into the same relationship ruts and patterns. In addition to significant others and spouses, friendships and family relationships need nurturing too. It’s important to step back at times and reevaluate your friendships. Sometimes you need to take stock and decide where to put your energy. “It’s important to break out of your comfort zone with friends too – not just romantic relationships,” says Dr. Helen Fisher, renowned biological anthropologist and author. “You have to decide which relationships to nurture and which relationships are draining your energy and don’t have a place in your life anymore,” says Fisher. As someone who took on the 52 Week challenge I can honestly say getting unstuck is an ongoing process. Sometimes you may even get unstuck for a while and then get stuck again! But that’s okay: the most important thing is to do something about it – anything — every time you feel that way. It can even be a baby step. Start today and make your own “52” list! It may also be the perfect time to start with your relationships. Download a 52 create your own list template at the52weeks.com. The book itself is available online and in stores everywhere. Call your favorite uncle and schedule a lunch date. Sign up for sailing lessons, tennis lessons, any lessons, together. Take a nightly walk with your spouse. Leave a note in your significant other’s tote bag or briefcase. Kiss your partner in the morning. It’s so easy to forget. Make chicken soup for someone who is sick. Recreate your first date with your spouse. Plan a girls weekend away with your oldest friends. If you no longer connect with your “old” friends, ask some new ones! Write a real letter (not an e-mail or Facebook message!) to your best friend from childhood. Winner announced above in the Giveaway Tools widget on February 25, 2014. Winner will be selected through Giveaway Tools and I will notify by email. Winner must respond within 4 days or the prize will be forfeited. Your email will not be shown and will be kept private. I did not receive monetary compensation. Prize provided by The 52 Weeks. Opinions expressed are my own. I was able to read the bios of both authors. What caught my eye was The 52 Weeks is a blueprint for getting out there and creating your own “attainable adventure”. 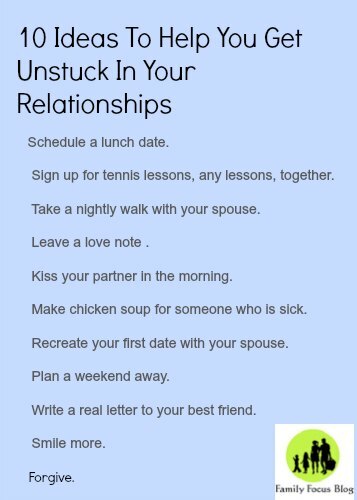 Those relationship ideas and worksheets are brilliant! With a large helping of how-to advice from experts and contributors, is what caught my eye. Action 1: The 52 weeks is what caught my eye only. The Worksheets and Tools caught my eye. 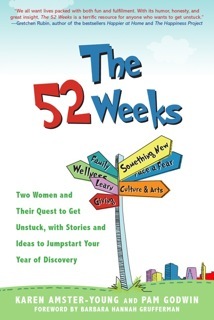 52 weeks is a great boo, giving ideas & insight on both fun and fulfillment which we all need more of in our lives. This looks like a great book. I think I need to get unstuck! This is so cool! I like that it’s all about getting out of your comfort zone. Putting yourself out there and trying new things in all areas of your life. I like how they even have worksheets. Doing something new every week is a wonderful goal. I like the article called Finding Funny at 47! I liked the list of activities that are now obsolete. It is a reminder to keep changing with everything. I like the section on “Ideas on YOUR 52”. I like that it has templates and tools to get you going. I like the worksheets to help you create your own 52! I noticed both authors live in Manhattan.